Now that the preparation for the first festive season of 2019 is in full swing, it’s no doubt that you will be engaging in some Marie Kondo-level of wardrobe purge for the annual auspicious affair. To prevent you from hoarding clothes you no longer wear, here’s another way to acquire new threads for Chinese New Year without actually having to keep them after. Having gained widespread interest since the idea was first conceptualised, the clothing rental trend has seen an increasing uptake over the years. 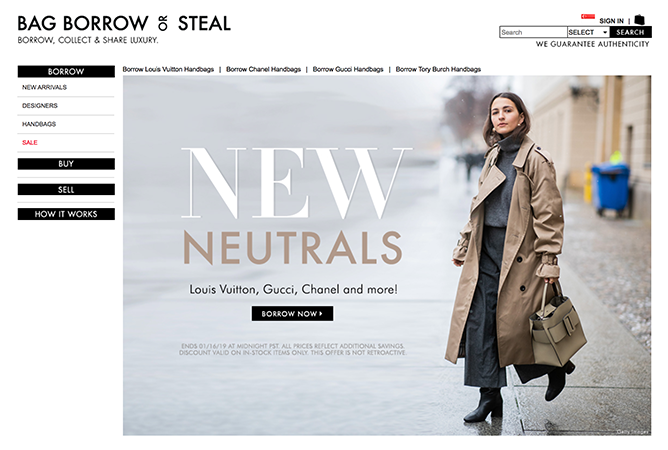 On top of being able to switch up your looks daily, it’s also an opportunity to dress sustainably and save money that might have otherwise been used to buy more clothes than needed. Instead of buying outfits that you only wear once and end up chucking them aside after CNY, get started on this stylishly green initiative with these apparel rental services. 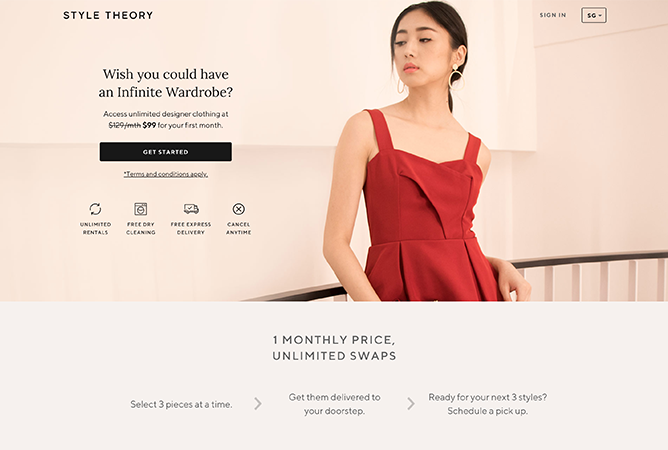 As a subscription-based clothing rental company, Style Theory offers you access to more than 20,000 designer apparel at a monthly fee. This means you can freely experiment with your outfits without worrying about your wardrobe getting cluttered. Simply browse through their curated collection and pick out your top three choices. Your items will be professionally dry-cleaned and pressed at no extra cost before making its way to you. With no cap on the number of boxes you rent per month, you won’t be repeating your outfits anymore! Get started at $99 for the first month and at $129 monthly thereafter. Fancy owning a new luxury bag every month? Bag Borrow Or Steal is a handbag rental service that allows you to rent a bag in one-month periods, for as long as you like. If you happen to fall in love with a particular design, feel free to continue using it as the rental will automatically renew once your allocated time is up. In an effort to ensure that all bags meets the qualified standards, each piece undergoes professional cleaning and will arrive at your doorstep in pristine condition for immediate use. Choose from a wide variety of designs at monthly rental fees ranging from $45 to $600. If you’re looking to wow your relatives during CNY with an elegant look, Style Lease offers a range of luxurious contemporary dresses from high fashion labels such as BCBGMAXAZRIA and Diane von Furstenberg at surprisingly affordable prices. Available for a four day rental period, every piece maintains the highest quality through a variety of stringent cleaning techniques before it’s packaged and sent to you. 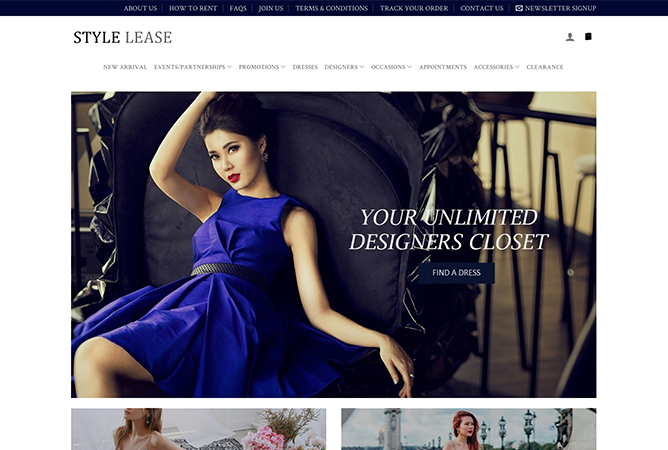 Select your desired designer piece at rental fees ranging from $55 to $680. Besides a wide selection of designer gowns for you to choose from, Covetella also provides a range of accessories for you to rent. This includes earrings, necklaces and even shoes from high-end brands like Marc Jacobs and YSL. So instead of having to make a pricey purchase for an accessory that you might not wear often, opt to rent one for a four-day period with the flexibility to extend when needed at an additional fee. Find the ideal addition to your outfit at rental fees ranging from $10 to $90. With dresses perfect for a variety of occasions, Rent A Dress makes for an ideal solution when you want to look fashionable without breaking the bank. Available for a four to eight-day rental, each frock is sourced from international designers and made accessible to you at an affordable price. Much like the other clothing rental providers, these dresses undergo a rigorous cleaning process before they’re delivered, which means they are ready to wear as soon as you receive them. Consider your last-minute CNY outfit sorted! Pick the perfect piece for CNY at rental fees ranging from $45 to $200. 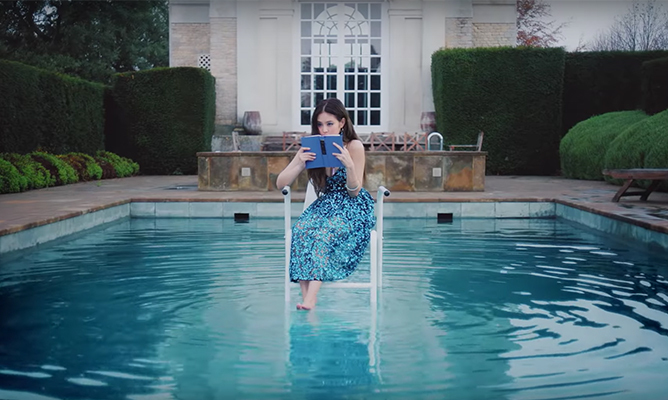 Who says you can’t hit the books in style? For those who are in need of some sartorial inspiration for the upcoming school year, consider your back-to-school wardrobe sorted with these rad outfit ideas – courtesy of our favourite Instagram style mavens! Tip: When in doubt, you can’t go wrong with a classic graphic tee and denim skirt. Tip: Co-ord sets are an easy way to look put together with minimal effort, especially when you’re running late for class! Tip: For more formal occasions, throwing on a blazer over a casual getup can instantly elevate your look. Tip: Swap out your denim and biker jackets for of-the-moment plaid prints that will add a modern edge to your style. This article was adapted from Teenage Passport To Your Future 2019. Which outfit would you rock for the first day of school? Show us your #OOTD by tagging us on Instagram! ARMY Alert: BT21 Is Launching A Worldwide Collaboration With Anti Social Social Club! For fans of BTS, you’re probably no stranger to the BT21 brand. In partnership with LINE FRIENDS, BT21 features a series of cartoon characters co-designed by the BTS members themselves to embody their personalities in the most adorable way yet. Thanks to the worldwide popularity of these lovable characters, they’ve since collaborated with the likes of beauty brands such as Mediheal and VT Cosmetics and even F&B joints such as Paris Baguette and Dunkin’ Donuts, just to name a few. Cult-favourite streetwear label Anti Social Social Club is the latest brand to team up with LINE FRIENDS, launching an exclusive range of apparel starring all eight characters from the BT21 fam. The highly-anticipated BT21 x ASSC capsule collection is set for worldwide release on www.bt21club.com on 17 November, 8am (Pacific Standard Time). Scroll through the gallery to peep the collection ahead of its drop. Well, looks like your concert outfit for #LOVEYOURSELFSG is all sorted! 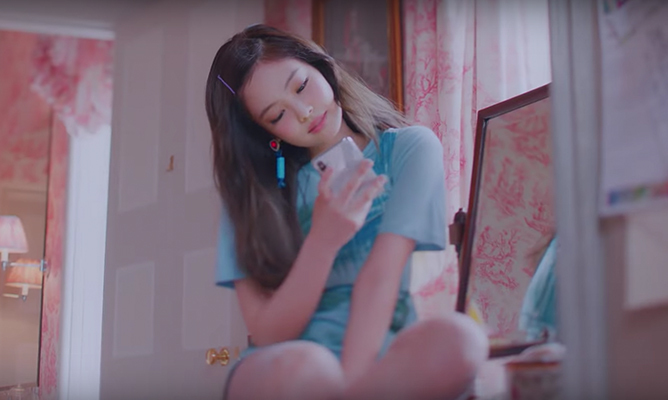 BLACKPINK’s Jennie might be known as the Human Gucci, but her wardrobe choices in her solo debut MV take her sartorial game to the next level. 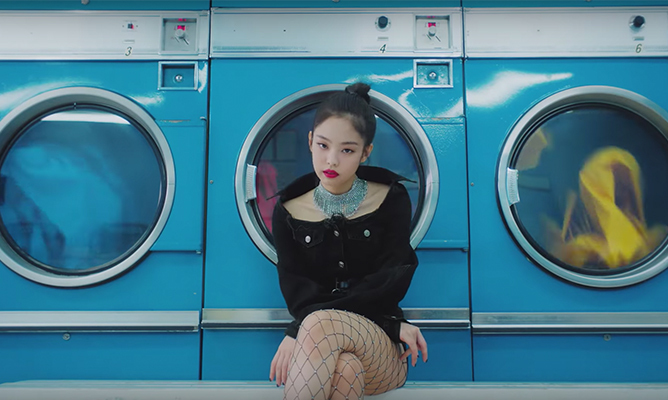 With her top-notch visuals, charismatic stage presence and impeccable fashion sense, it’s about time our resident style chameleon gets her own solo debut. 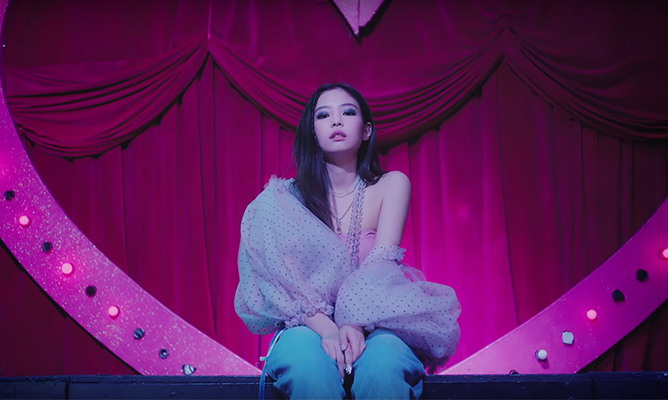 Aptly titled ‘Solo’, Jennie’s hypnotic music video sees her rocking a plethora of show-stopping costumes – 22, to be exact – in the span of 2:56 minutes. Her outfit changes are so aplenty that you’ll miss it if you blink, so we took the courtesy of capturing all her stunning looks in one post. Ready for some wardrobe envy? Things begin with Jennie in this flowy velvet number with a lace detail around the neckline. Don’t we all just love moody Jennie? Then she wakes up with a fur coat draped over her shoulders, just like any other ordinary human being would. A while later, she got rid of her fur coat for a snug sweater with a shoulder cut-out. Actually, scratch that – this pop art sweater looks way cosier. Heading out to the pool to do some light reading, she changes into a dazzling blue sequin dress that looks right at home amidst the azure waters. Looking ever so angelic in a whimsical floral gown, she spends the afternoon basking in the sunlight in a garden surrounded by scattered flowers. 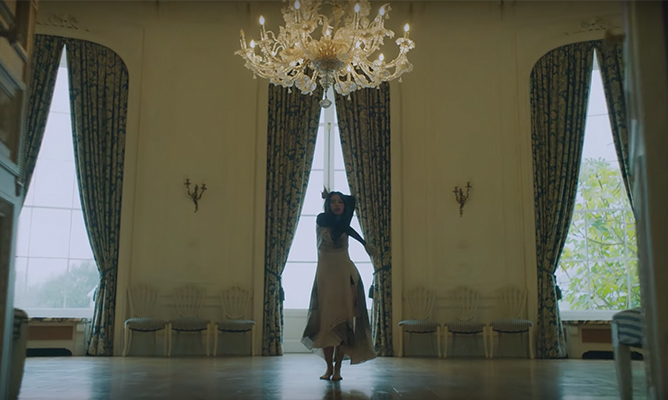 The camera pans out to show what we assume is her majestic abode (it’s what she deserves), while Jennie dances across the pool in a mustard mini dress. Retreating back indoors, she turns on the charms with a sensual dance routine in an elegant midi dress with a cowl neckline, adding instant drama to her ensemble. She heads to the laundry shop in a feminine pink dress, then proceeds to fling it into the wash like how she’s throwing away her feelings. We love an independent woman in leopard prints! 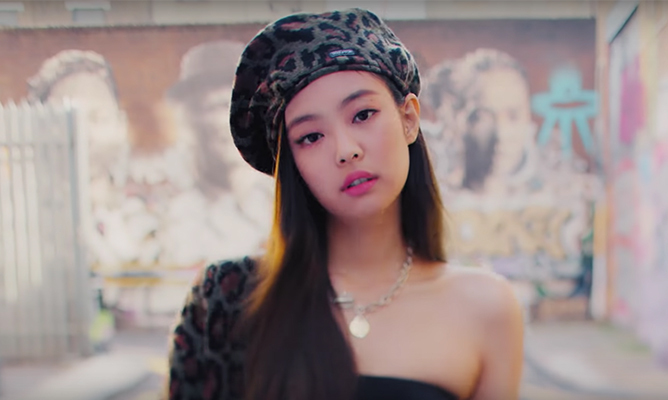 Can we just talk about Jennie in this Chanel bodysuit? It hugs her curves in all the right places – talk about total #BodyGoals! In place of her pink dress, she tugs out a black denim jacket that’s ripped around the collar to reveal her chunky necklace. We’re loving the girl crush vibe! She hits up the club in a slightly more casual get-up, paired with a sheer outerwear and a pop of blue on her lids for a head-turning look. 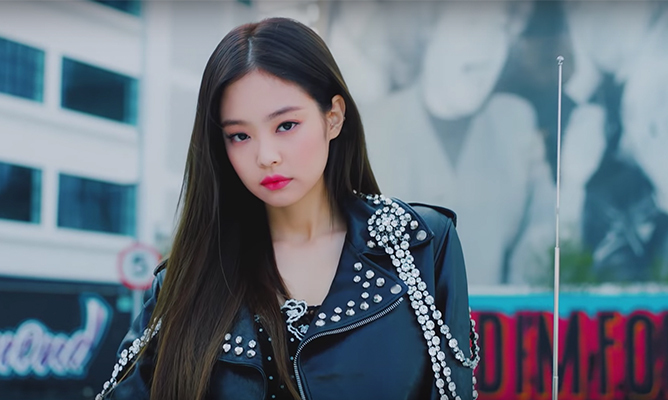 There’s just something about Jennie in a biker-style leather jacket that screams “don’t mess with me”. 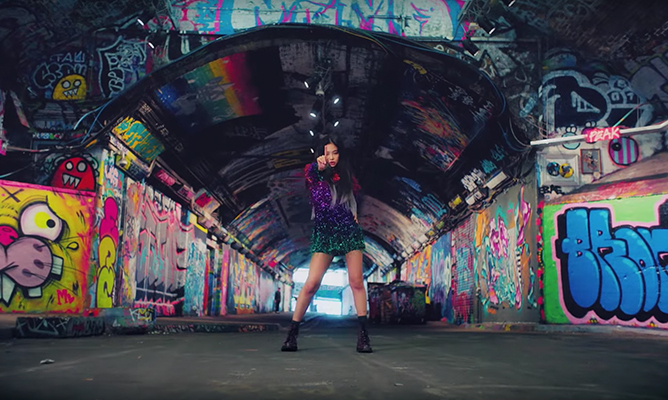 Only Jennie can avoid looking like a disco ball in this multi-coloured sequin dress – the graffiti alley also makes for a great backdrop to complement the rainbow outfit. 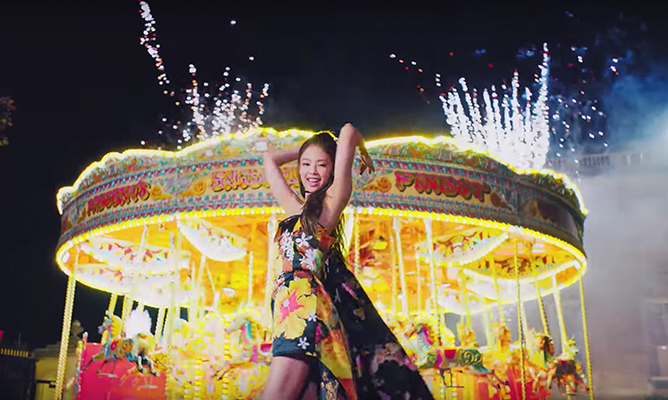 Gotta give her stylist some serious coordination points for matching her yellow floral dress to the carousel! And she’s back on the streets serving looks in an all-red ensemble. Who knew a pair of wings and floral boots would look so good together? Stripping it down for a sporty look with a printed skirt and ripped tights, we’re now convinced that she looks great in anything she wears. Yes, even when she’s dressed in a plain blue tee. 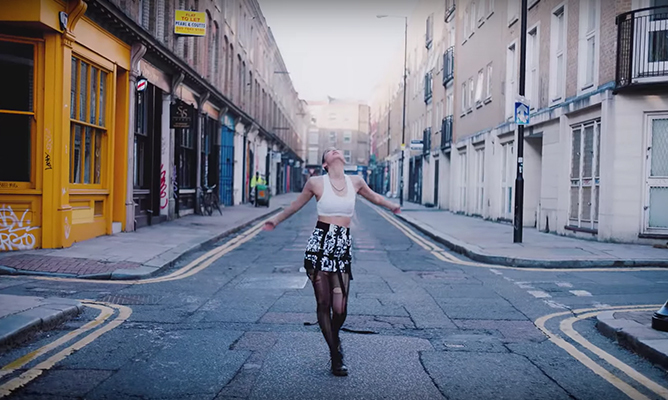 One of our favourite scenes in the MV, Jennie steps out of her car in a monochrome combo as she lets her emotions out in a dark alleyway. 22 outfit changes later, she declares herself a “shining solo” in a sultry red outfit and bright red lips accompanied by an all-female dance crew. POWERFUL. 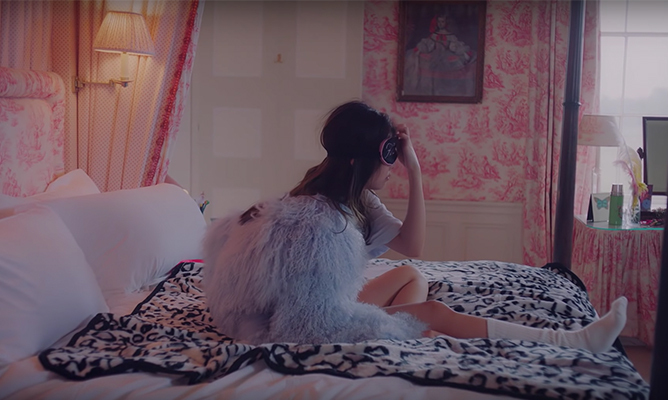 Watch Jennie’s music video for ‘Solo’ in all its fashion-filled glory! 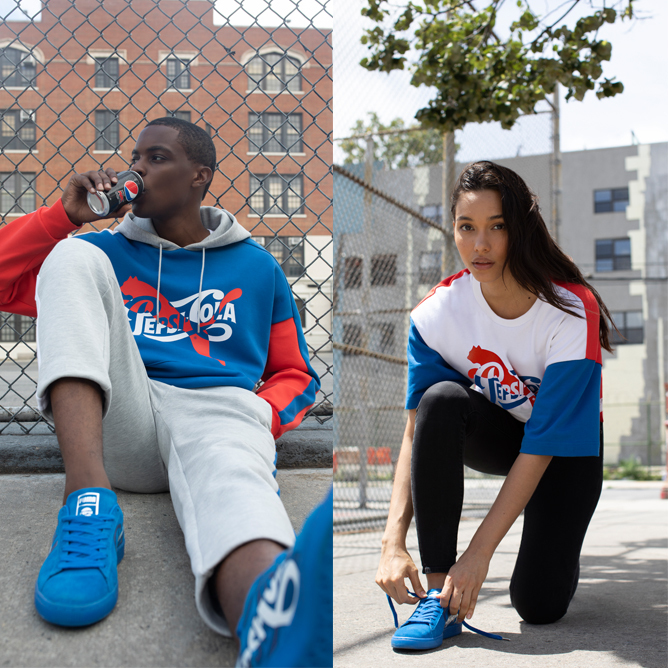 If you’re a sneakerhead and a caffeine junkie who lives on Pepsi, you’re gonna want to cop PUMA’s latest sneaker collection – stat. 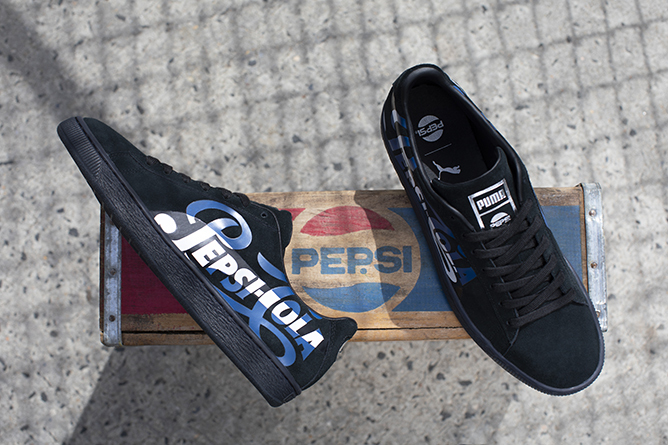 In an exclusive collaboration with beverage giant Pepsi, the global sports brand has launched a collectible Suede 50 PUMA x PEPSI capsule collection that honours 50 years of the all-time favourite PUMA Suede. Constructed with a velvety suede upper and the classic Pepsi-Cola script logo atop a translucent midsole, the new Suedes are the perfect blend of timeless meets contemporary cool. It comes in two colourways featuring the iconic Pepsi hues of Clean Blue-Puma Silver and Puma Black-Puma Silver. To complete your street style look, the collection also includes a PUMA X PEPSI pant, tee and hoodie in complimenting colours of blue, red, grays and white. The Suede 50 PUMA x PEPSI collection retails at $150 each and is available at PUMA SELECT MBS, Bugis+, Leftfoot, Limited Edt. and Vivocity.